Tokio Hotel: Is Gustav forgotten? 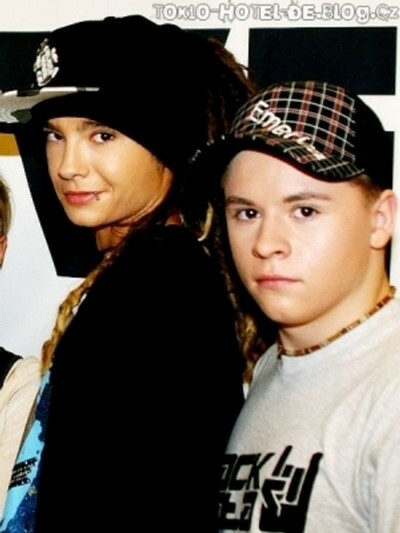 "Tokio Hotel" Gustav was seen with a pretty blonde. Tokio Hotel is currently one of the most successful groups from Germany. At every international awards creams the guys to front man Bill Kaulitz countless prices. But her private life is not much reported. Supposedly all the guys are single. Just saying happy bithday to Gustav!! 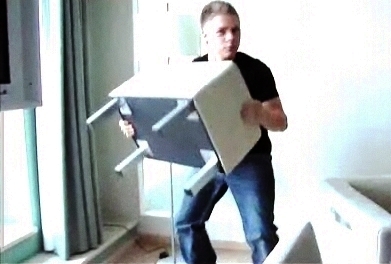 Dont forget that's Gustav's birthday on monday!!! To send you card/email here is the addresses! Your birthday wishes for Gustav! As you all know, on 8 September Gustav will turn 20. Reason enough for the us as official fanclub to start a birthday action, where we ask you to get your mobile phone, camera or webcam on your pc and record your birthday wish for Gustav. We will put all the birthday wishes together on a disc, that we will give to Gustav. How should your entry look? You can record something alone or with friends. You can sing, read a poem or just say your wishes, whatever you always wanted to say. Please keep in mind that your entry can be no longer then 30 seconds, otherwise it won't be on the CD. Teenmag day 7! Gustav talks! What's the first thing I do every morning? Have breakfast! Favorite dish: Ribs with boiled potatoes plus carrots & peas on the side! About my tattoos: I've have tattoos in two spots - first one is on my upper back. It shows two wings and in between them there is a sword and a laurel twig that cross. My second tattoo is a shooting star, which I have on my right arm. Junk food I love: Cheeseburgers. When I try to eat healthy: Bananas. My childhood celebrity crush was: Carmen Electra. Recently I was surprised by: The way my destiny worked out! The cereals in my cupboard are: I don't eat cereal at all. Heaven on earth is: My family. For dinner I like to make: Potato casserole. My coolest article of clothing: My Air Max Nikes. When friends come over we: Watch movies. Before I die I want to: Have climbed Mt. Everest. When I'm on tour I have to have: My laptop and mobile phones with me. If someone gave me a million bucks tomorrow I'd: Buy a beautiful house for my family and myself!